This new model offers exceptional boating options in an easy-to-handle size – the go-anywhere attributes of our classic blue-water hull. 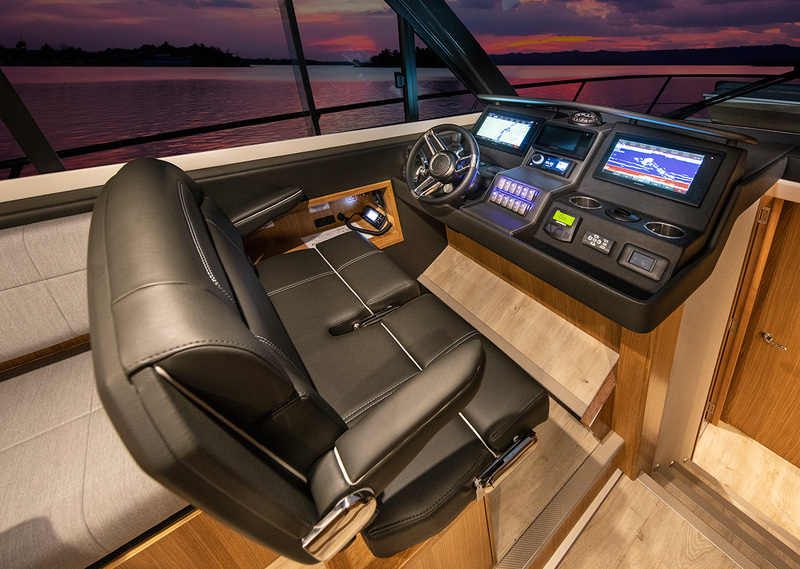 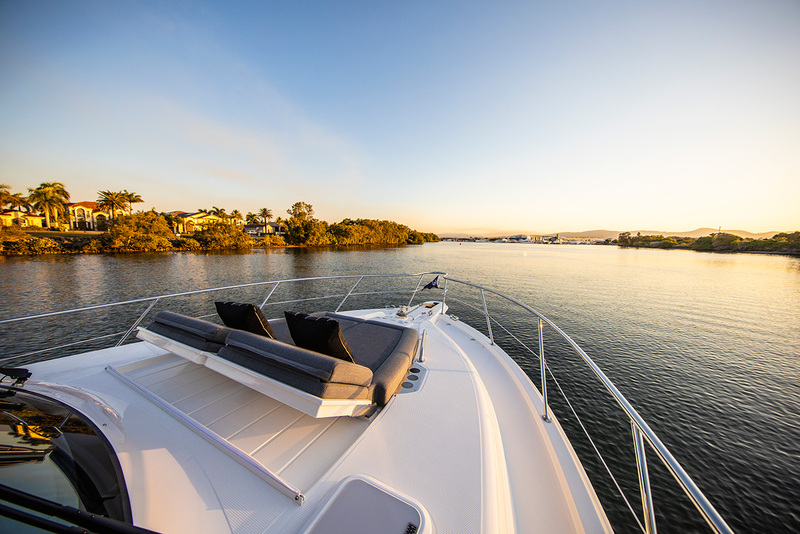 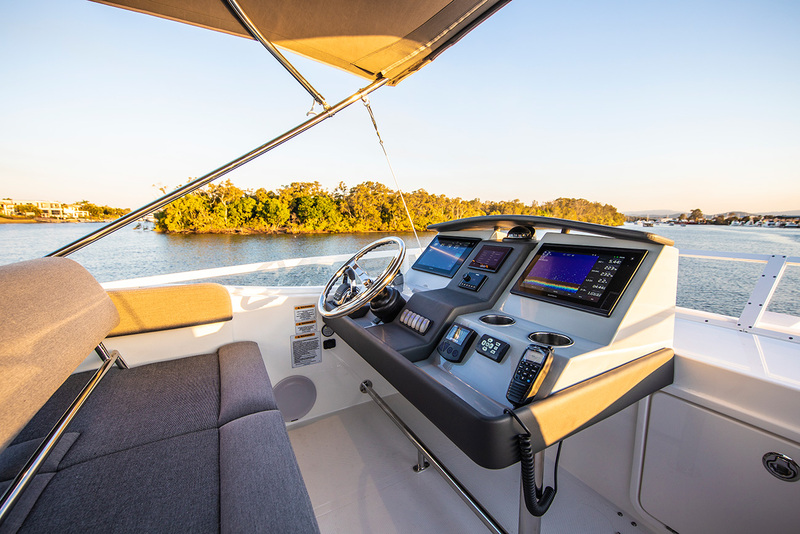 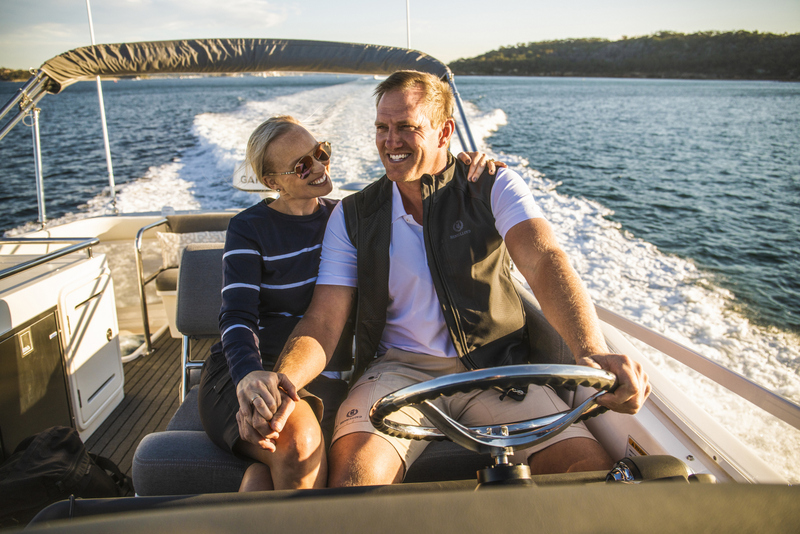 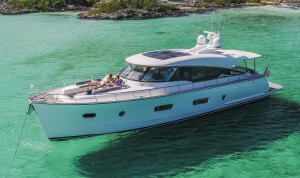 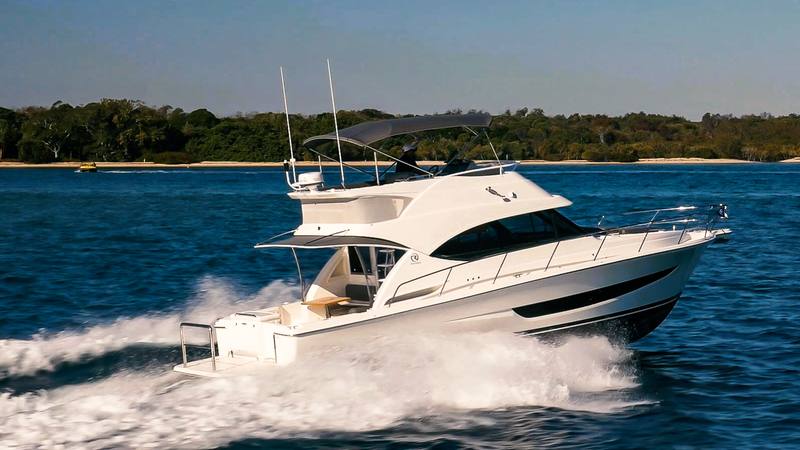 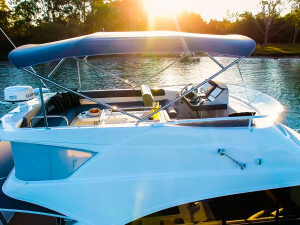 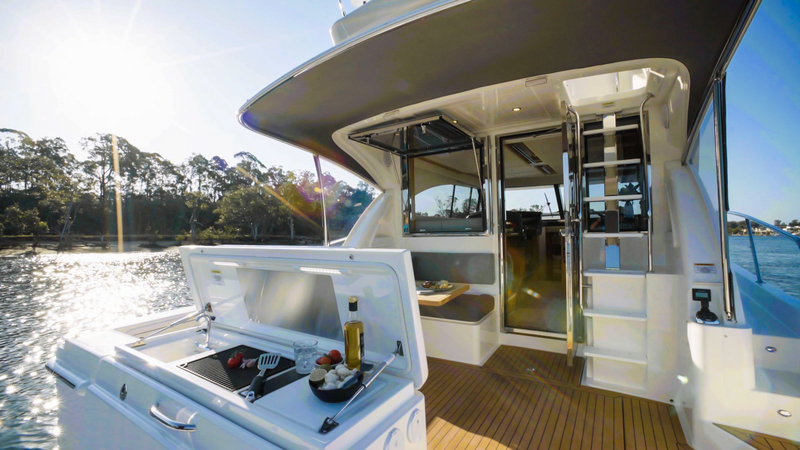 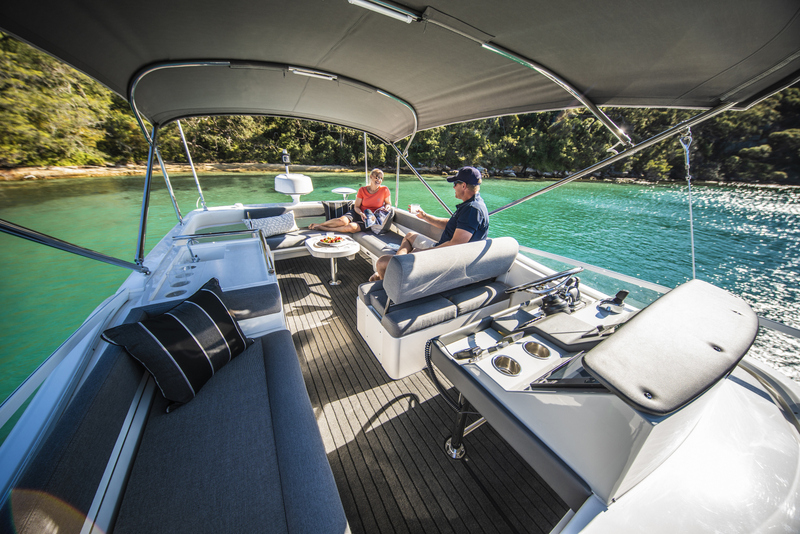 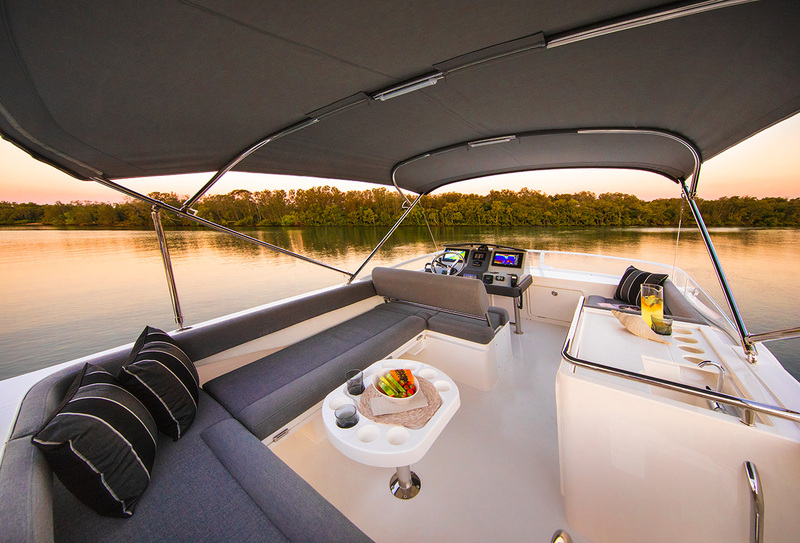 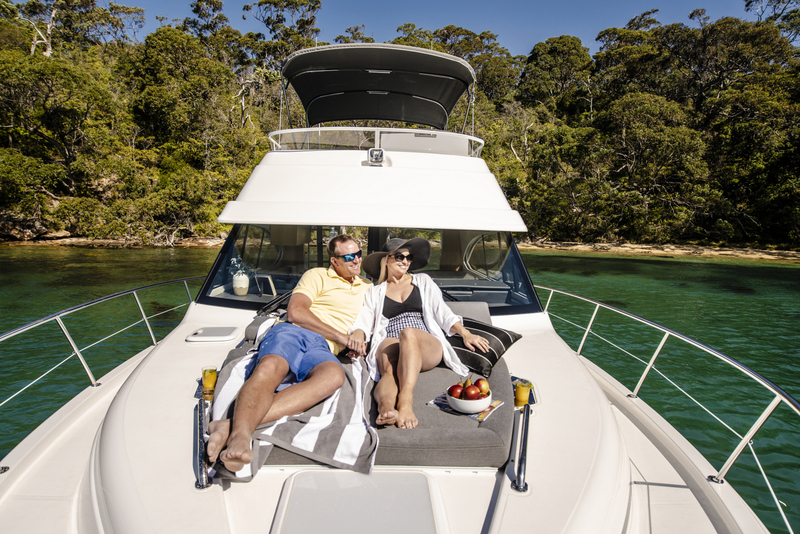 In this model, we have introduced a number of innovations that take the sub 40-foot flybridge to the next stage in Riviera’s process of continuous improvement. 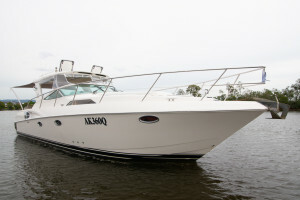 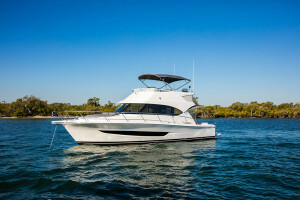 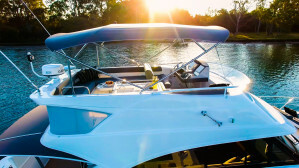 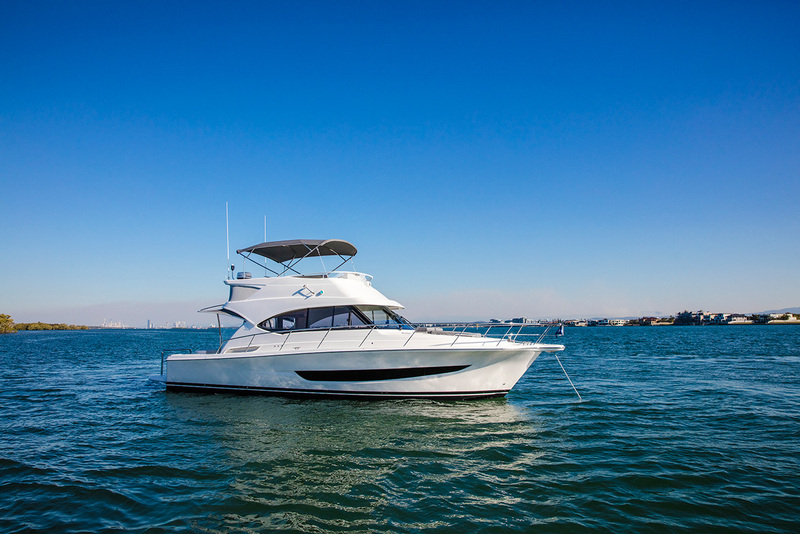 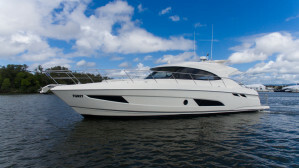 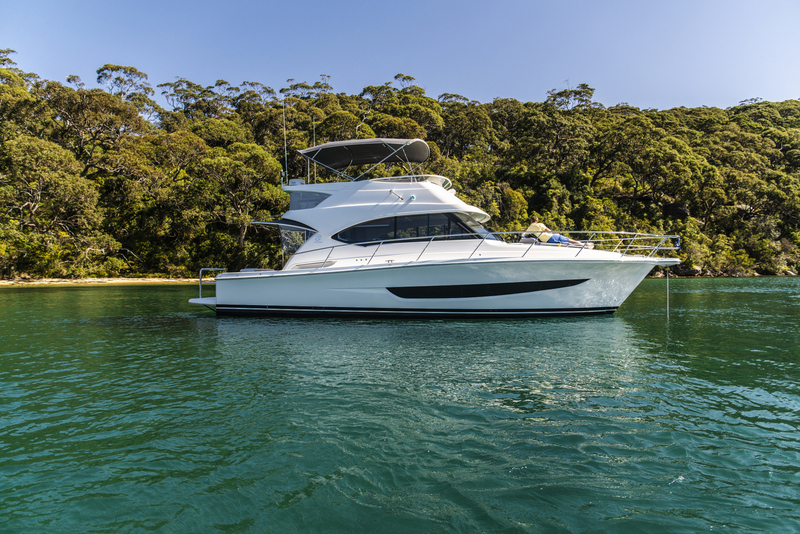 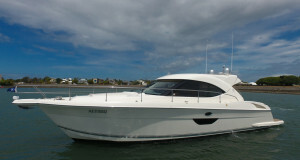 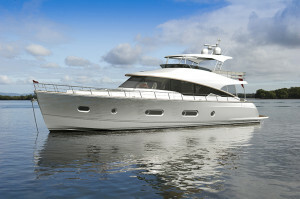 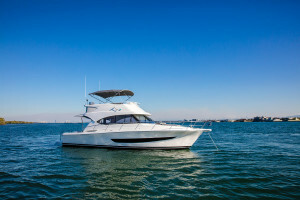 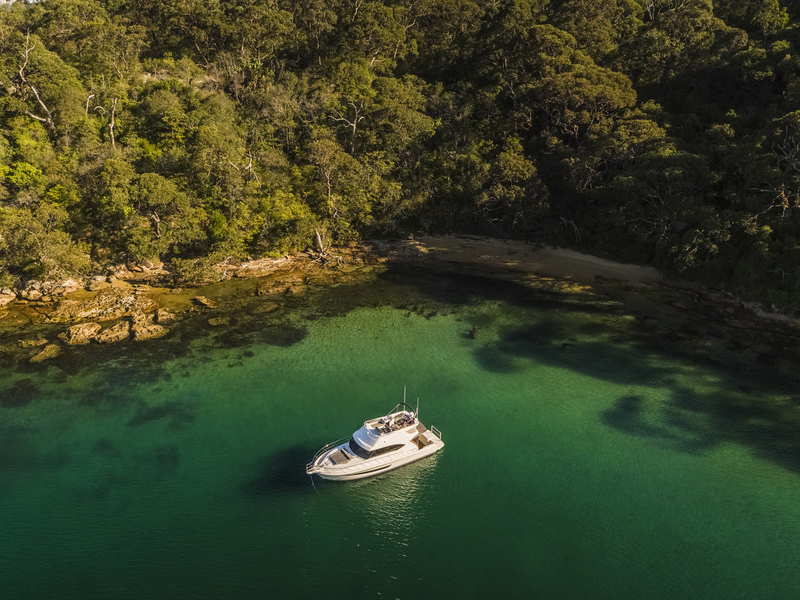 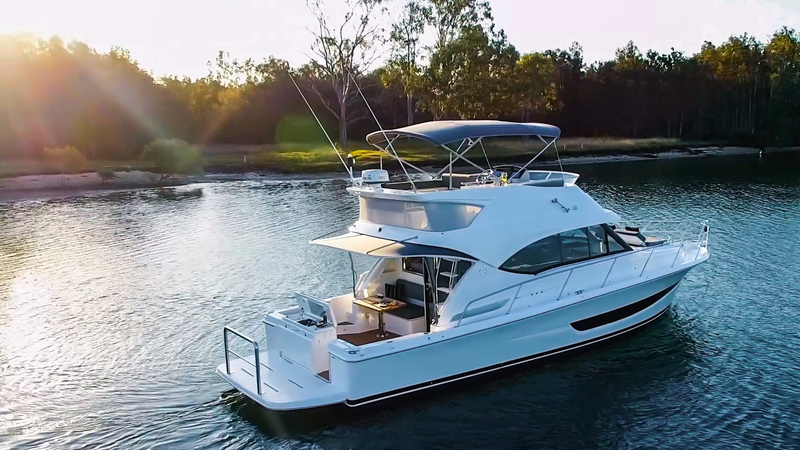 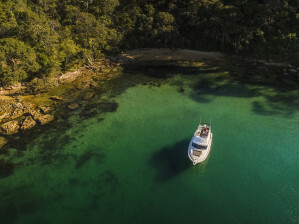 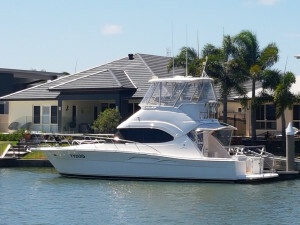 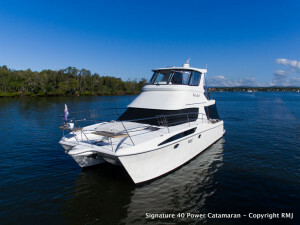 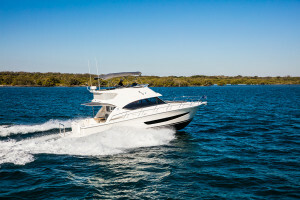 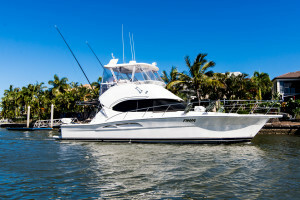 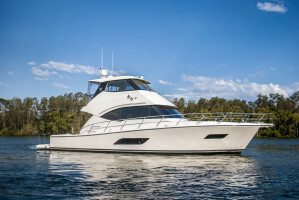 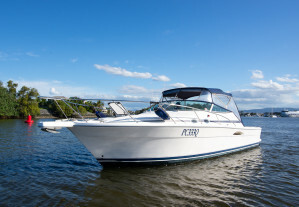 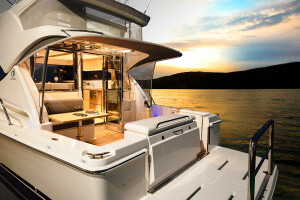 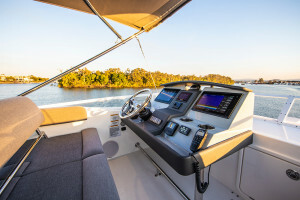 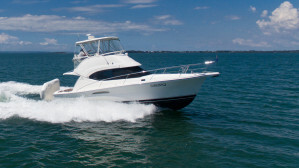 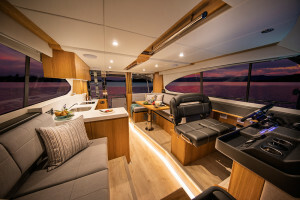 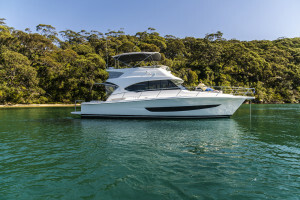 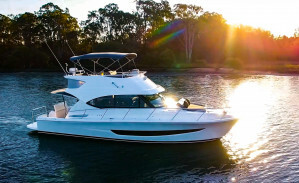 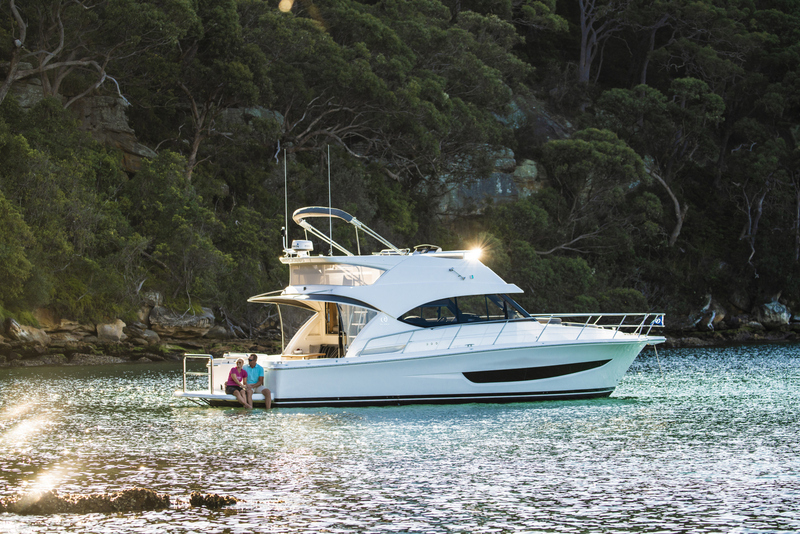 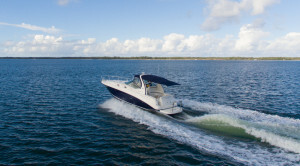 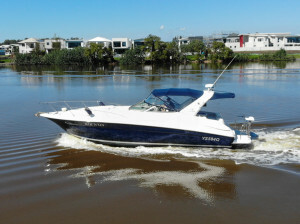 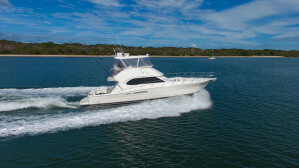 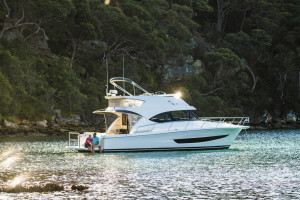 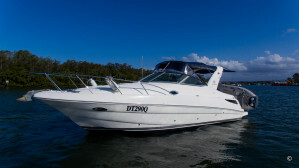 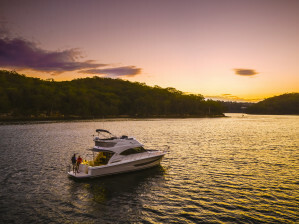 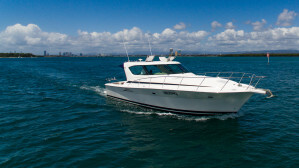 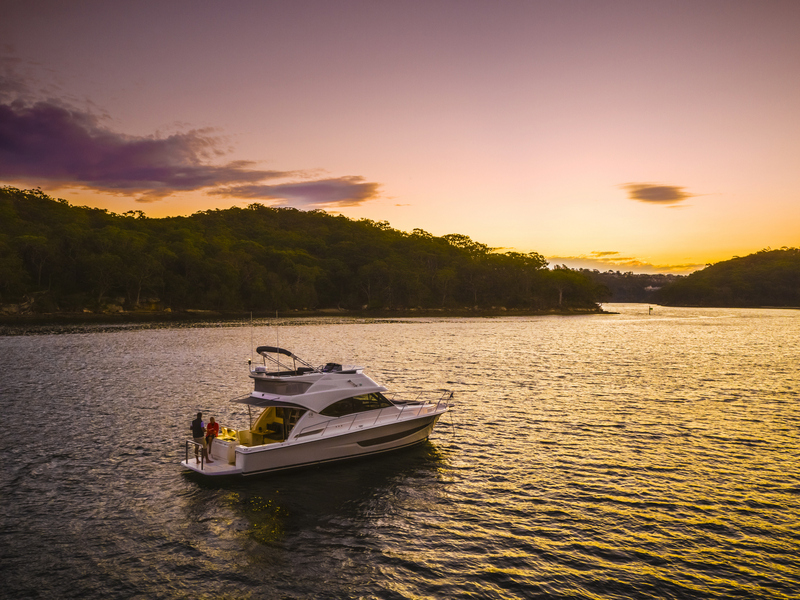 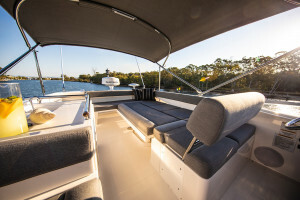 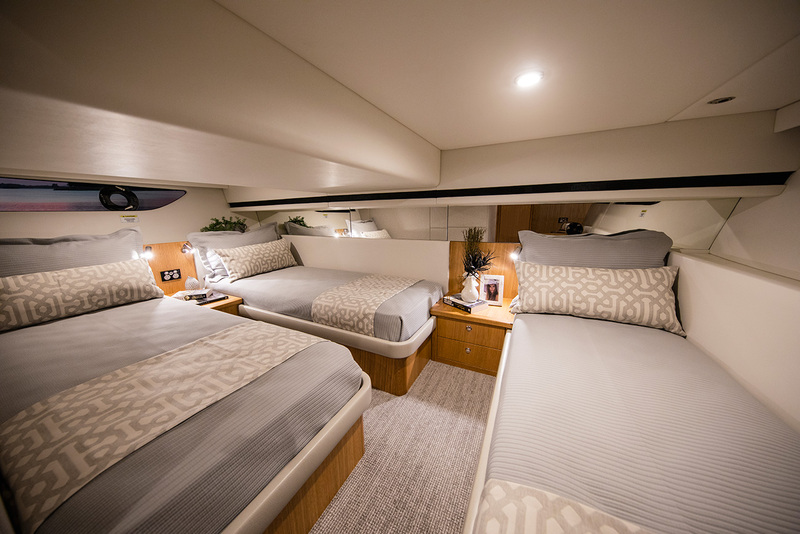 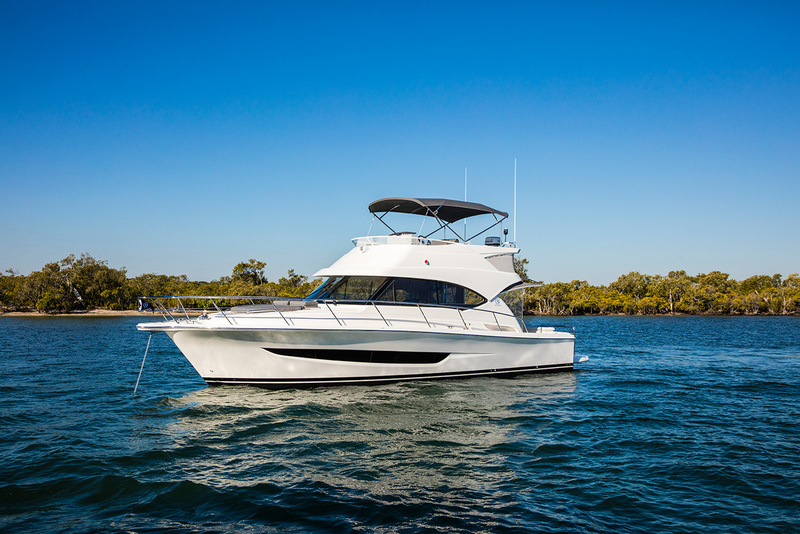 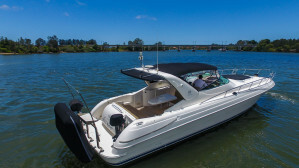 The new model has a new hull and deck design, offering two generous staterooms and a bathroom on the accommodation deck, a spacious saloon and a cockpit perfectly designed for relaxing and entertaining or for a raft of water sports, from fishing to diving. The lower deck provides sleeping accommodation in comfort for five adults in two cabins; a forward master stateroom with queen-size walk-around double bed and amidships cabin with three single berths. 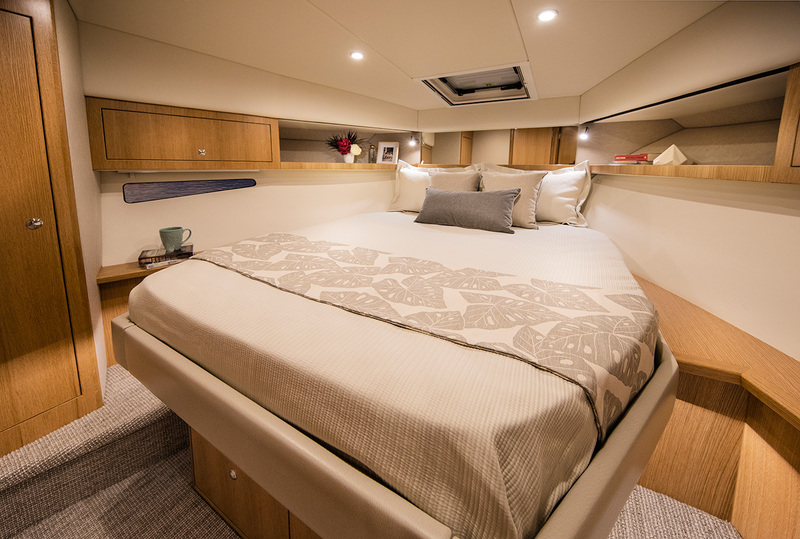 The midships cabin includes the twin beds on the starboard side that can be converted with an infill into a large double bed. 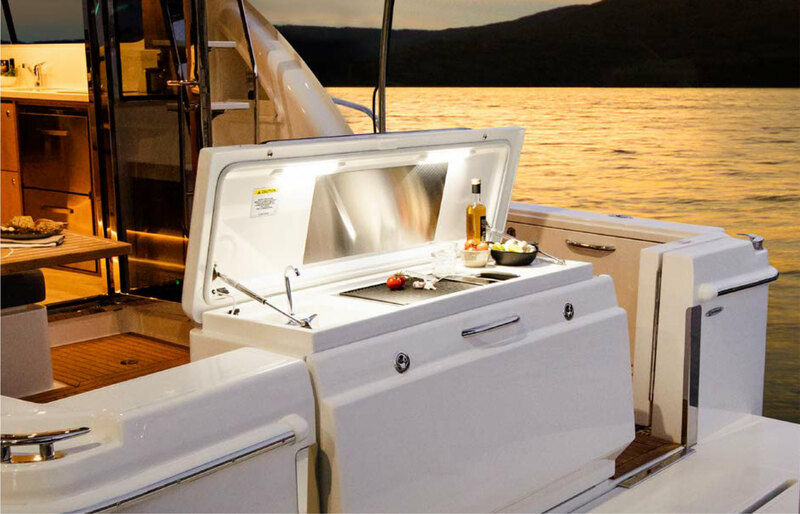 Ample storage is available under the twin beds and a clever two-metre-long storage cabinet is overhead, above the port bed, suitable for rod or lifejacket storage. 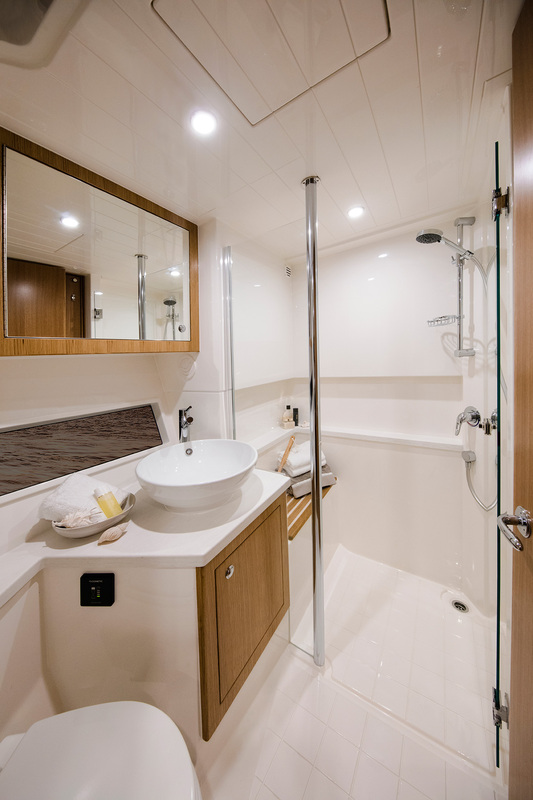 The generous-sized bathroom includes a vanity, Vacuflush toilet and separate shower stall. 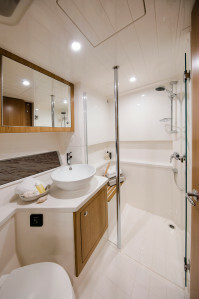 With two-way access, the bathroom can be utilised as the master ensuite and day head. In the saloon, a lower helm and companion seat on the port side forward is standard, with the U-shape galley opposite. 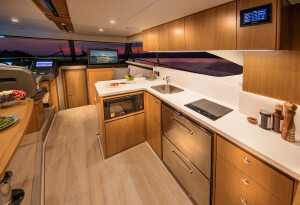 The galley includes a two-burner electric cooktop, under-bench convection microwave and under-bench fridge-freezer. There is also a pull-out garbage unit. 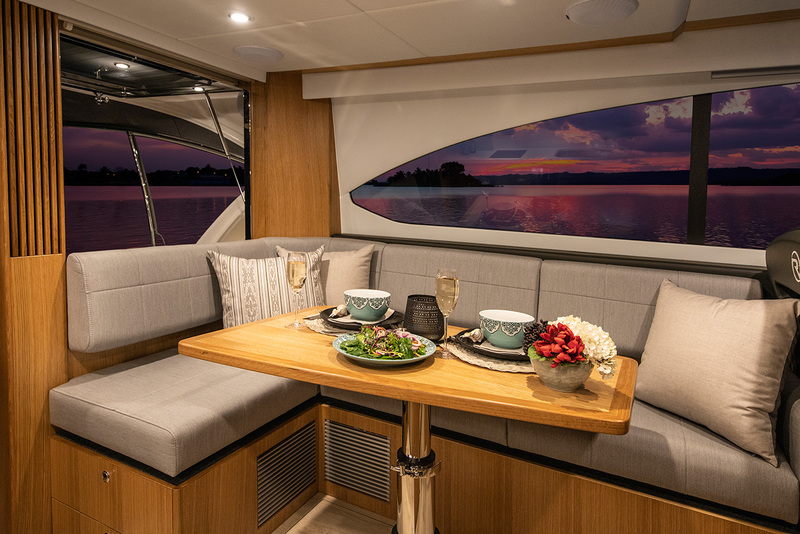 The dining area with L-shape seating is aft on the port side and a raised lounge is positioned opposite, offering sweeping views through the wrap-around windows, windscreen and aft through the glass bulkhead door and awning window. 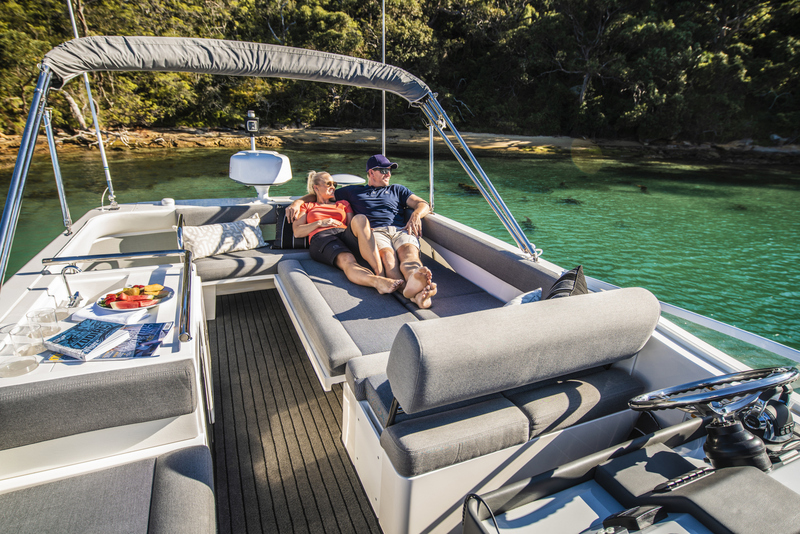 Making the World Debut at the Sydney International Boat Show 2018 August 2 - 6, we have secured one for from the first production run of 12. 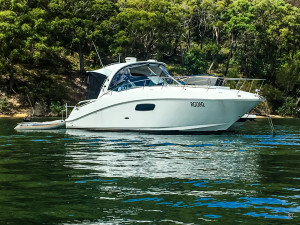 Don't delay call today to register your interest.